Virtual Rides 3 is, obviously, the third installment in the Virtual Rides series from developers Zeichenkraftwerk Jeutter & Schaller GbR, which I’ve put at the very start so that I don’t ever need to try and type it again. When I first got stuck in to the game, I was focused completely on the Virtual Reality portion, but quickly expanded my scope to include the entire experience. The reason for this was because the VR element of Virtual Rides 3 is incredibly limited. 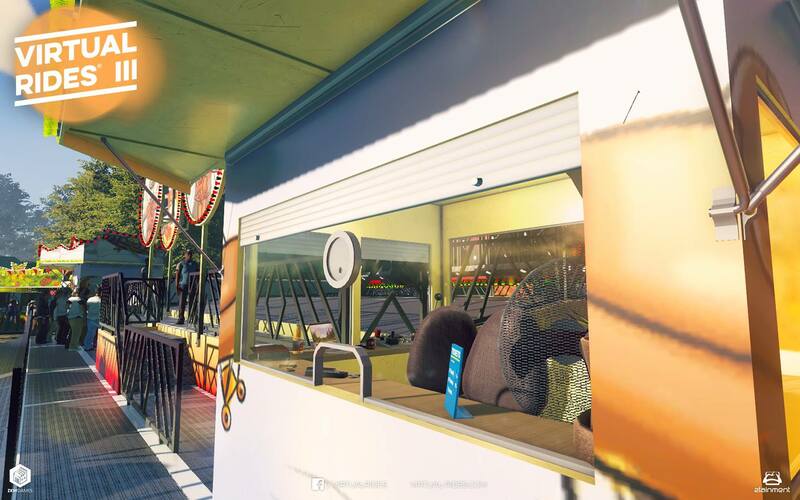 There are five rides to choose from, so you very quickly experience the full scope that the game has to offer. 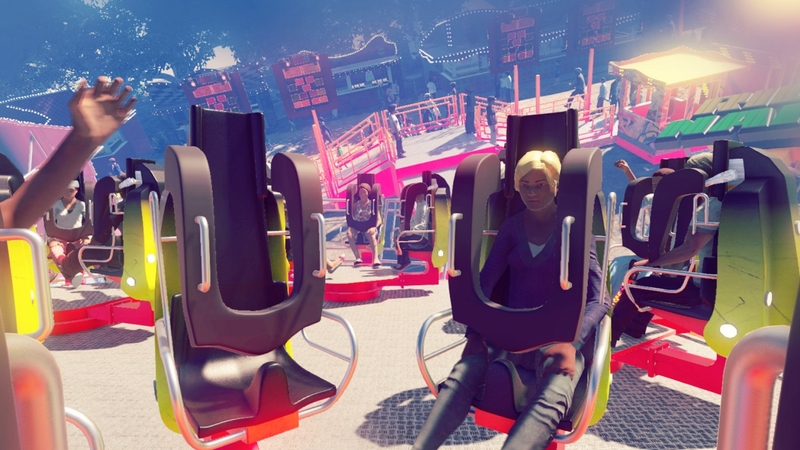 While it’s true that VR and roller coasters go hand in hand, Virtual Rides 3 isn’t even close to being the first to cash in on this suited medium. It is, as near as I can tell, the biggest game to step away from roller coasters in favour of traditional fairground rides. 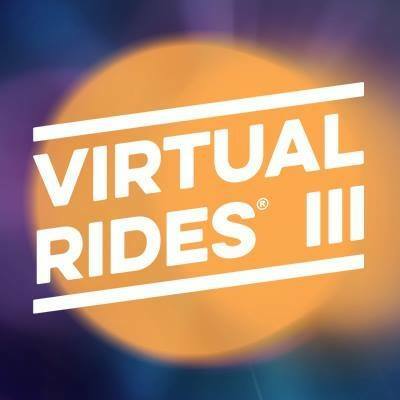 Virtual Rides 3 does a good job of turning the nausea on in its virtual reality section, leaving me relatively dizzy and more than a little bit queazy after just a single run through each of its attractions, which grow in intensity. In the later rides, I even found myself gasping and clutching to the arms of my chair. It’s certainly fun, but it’s hardly worth the asking price. So I set my Oculus Rift to the side and took to exploring the fairground via my good old-fashioned monitor, and Virtual Rides 3 really began to open up. While it’s an unusually humble boast that the game allows you to “design, control and ride more than 10 unique attractions”, there’s actually a decent enough amount of variety to keep you going. A dynamic day and night cycle reinforces the importance of lighting in the carnival setting, and it’s just one of many things you’ve got creative control over. 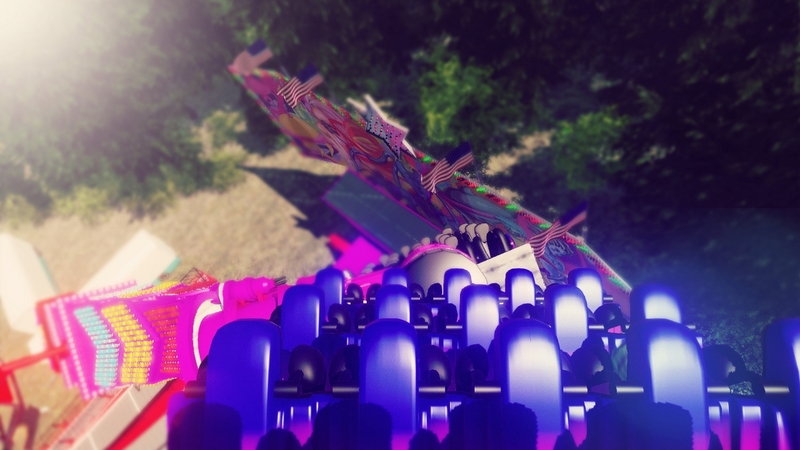 While you don’t get to design a ride completely from scratch, a la Besiege or Kerbal Space Program, there’s a decent amount of customisation at hand to allow you to put a personal touch on the carnivals various machinations. On top of traditional textures and colours, you can add fog machines and alter the lighting of each attraction to really add variety to your big attractions. It’s a pretty cool twist that, once you’ve modified a machine to your liking, you get to control the ride from inside the booth. You’re in control of speed, lights, the works. Unlike some of the roller coaster games of my youth, however, the machines are locked in at safe speeds. Which is probably for the best. It all sounds fairly minimal, but there’s enough customisation at your disposal that it’s easy to find yourself coming back to Virtual Rides 3 for more. While the VR component is lacking in depth, it’s nice as an added feature to an otherwise solid game. It’s oddly satisfying having your park fill up with masses of people marvelling at your well customised attractions. Sadly, at a current Steam price of £18.99, I can’t recommend Virtual Rides 3 unless it’s on sale or you’re a fan of the genre.